I went downstairs on Saturday morning to find this spread that Lily had laid out that would make any B&B proud – pot of tea, croissants, fruit, yoghurts, jams, mini packs of cereal in a bowl… She went above and beyond! No way could I have eaten all that, but it was very kind of her to give me so much choice. She did me some toast and warmed the croissants and we chatted over breakfast, before walking over to ChapelFM together. After a coffee and a chat in the reception area, we went upstairs and began. We received an intro into the programme, the team members and the building, and we did some ice-breakery activities so we could learn a little about others who were on the programme and on the UNION team. What a great mix of inspiring people – artists, activists, theatremakers, musicians, writers… everyone is a grafter and a ‘do-er’ and I found it so refreshing! We walked with some local volunteers over to the LS14 Trust, namely the ‘Small Change Café’ (a name I fell in love with) to meet Howard and his team mates. I was very taken by the space conceptually and aesthetically, let alone the atmosphere within it. My head was swimming with possibility when I did an interview (which will potentially go on the radio) back at ChapelFM. I don’t even remember what I said to be honest – think I was busy digesting information and concepts to give a reasonable interview haha. The afternoon involved a presentation by Adrian, Co-Director of ChapelFM and UNION team leader, citing examples of and exploring community engagement, and the role of the artist-activist. I found this really interesting and helpful, although I still can’t necessarily pinpoint why. 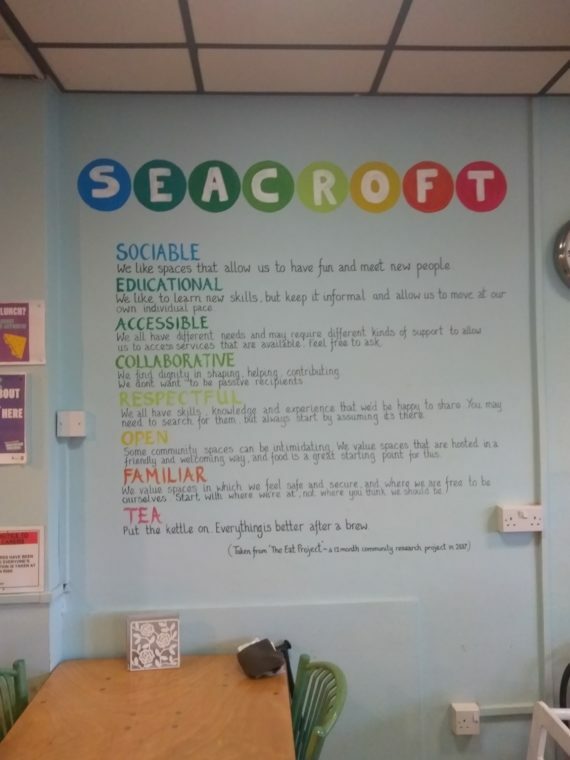 We then divvied ourselves into smaller groups to work on developing an idea that we would implement in the Seacroft community over a ten year period (more on that later). What were my concerns? And how did they pan out? 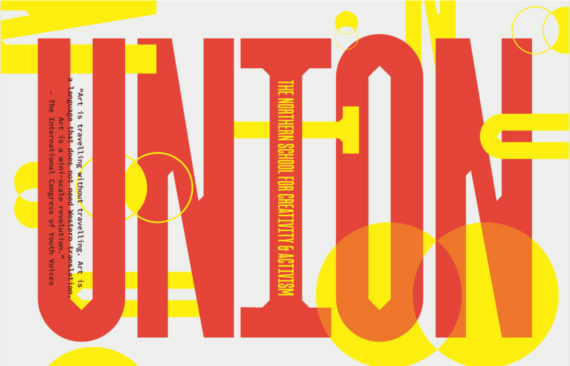 What do I want out of Union? And what do I plan to put in? …but to be honest most of us spent the time decorating our sketchbooks. I know I did – I needed something hands-on to do that didn’t require my already saturated brain! Dinner soon rolled around (a delicious but spicy curry dish – it was beautiful – thanks!) and we were joined by our hosts (to be fair, I think Lily and David were the only hosts there?) for conversation and good food. I think a lot of the others went to this bar/music venue(?) for a pint afterwards, which would have been really nice, but I went back with my hosts. They were quite taken with Steve from Beats Bus, a fellow Unionite, so we watched clips of him on Youtube before sitting down to watch The Voice over a cuppa. I played loads with Shadow and I wrote in my reflective journal whilst thoughts were still fresh in my head. My mind was still buzzing when I went to bed so I continued writing for a few more hours. the importance of identifying area needs (walking around, talking to people) before solving those issues creatively -using your own skills? how am I supposed to articulate my experiences and thoughts in a reflective journal and a blog? Which thoughts best belong where? Why Shadow the kitten loves walnuts so much? Do I get my cat one? So not a lot, then. Lauren Saunders is a socially-engaged and award-winning interdisciplinary visual artist living & working in Hull, UK. Her work is broad & varied, but her current practice centres around drawing in the expanded field to explore & respond to meaningful philosophical & activist concerns. 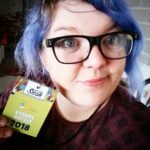 ​ Her artmaking is supported by her current research into the relationships between the visual arts and mental health (most specifically, mental health recovery outside of the clinical arena) which she has presented to Parliament, NHS Trusts and other researchers to great success. Lauren is also a co-founder of 'The Critical Fish', an Arts Council England/Hull City Arts funded project which aims to develop critical and research-led conversation within the arts through academia and community engagement. Over a number of years, Lauren has worked professionally in a number of theatres, colleges, healthcare and community settings engaging with people as an artist, workshop leader and advisor. Lauren is experienced and knowledgable about both art and people, and combines these to inform her socially-engaged arts practice.